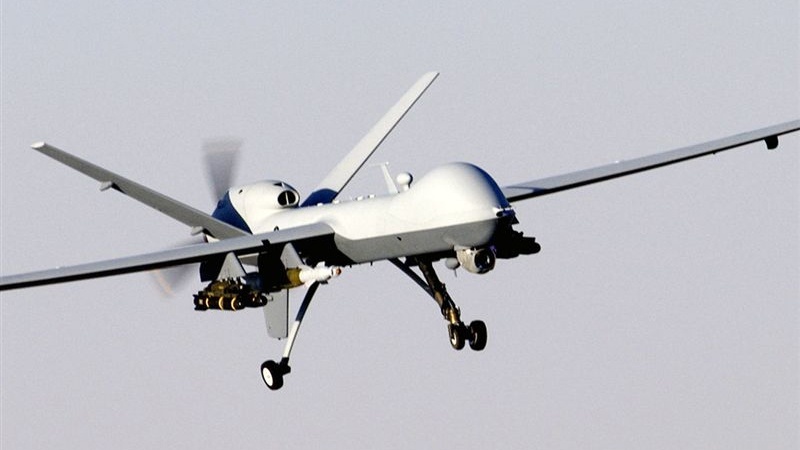 A US drone has been spotted flying near the Russian territory of Crimea. A US drone has been spotted flying near the Russian territory of Crimea; the latest in a series of air incidents which many fear could spark wider confrontations between Russia and the United States. CivMilAir, which monitors military aviation flights worldwide, said that the US drone, an RQ-4 Global Hawk, was spotted conducting reconnaissance near Crimea on Friday. It said the drone had cruised over war-torn eastern Ukraine and even flew over the demarcation line in Ukraine’s Donbass region before coming within 30 kilometers of the coast of Sevastopol, the port on the Black Sea which serves as the capital of Crimea. The website indicated that the US drone had taken off from a base in Sigonella in Sicily, Italy, where NATO military alliance accommodates a US navy base. The unmanned aircraft’s flight near the Russian territory may trigger a strong response from Moscow. Russia has repeatedly accused the US and NATO of carrying out “irresponsible” air missions near its territories or in other places where Russian fighter jets are operating as part of their international missions. Russia and the US have been locked over a conflict in Ukraine for the past four years. A main dispute between the two is the rejoining of Crimea to Russia after a referendum in 2014.